From Israel's founding in 1948 until the mid-1990's, women were excluded from serving as pilots in the Israeli Air Force and from joining Special Forces units. 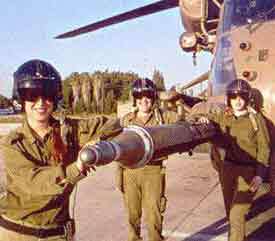 In 1997, on appeal from Alice Miller who filed with the Israeli Supreme Court for acceptance into IDF's highly elite Air Force flight school, the IDF began to change its policy toward women in these highly coveted combat positions. In 2000, the Equality amendment to the Defense Service Law stated that the right of women to serve in any role in the IDF is equal to the right of men, and from that point forward women have joined many elite units in the IDF. In 2001, Lt. Roni Zuckerman became the fourth woman to complete the arduous Air Force training and first ever to reach the status of combat fighter pilot. Four years later, a second female passed the intensive fighter pilot course and two other female soldiers graduated to serve as transport pilots. 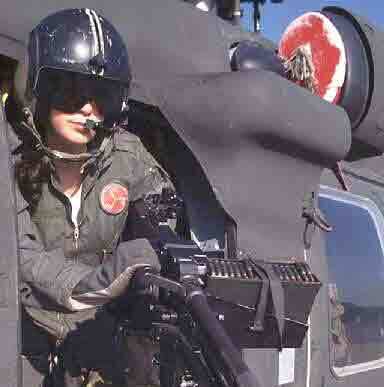 During the Second Lebanon War in 2006, female helicopter pilots took part in field missions alongside their male counterparts. In December 2011, five female pilots completed flight school at the 163rd graduation ceremony of the Israeli Air Force Flight Academy. Since Alice Miller's 1997 appeal, thirty eight females have recieved pilot's wings from the Israeli Air Force. This group includes sixteen combat navigators, three combat pilots, seven helicopter pilots, and twelve cargo pilots. In October 2015, 24 year old Or Cohen became the first female to be appointed commander of a Naval combat vessel, Dvora ship 817. The IAF appointed their first female squadron leader in August 2018. Major G. was appointed commander of the 122 Air Intelligence Squadron, which includes five gulfstream jets. She began her IDF service in 2003, where she trained as a transport plane pilot. Anna Ahronheim. IAF Gets First Female Squadron Leader, Jerusalem Post, (August 8, 2018).